According to the folks over at Big Government, President Obama has recently amended a Reagan-Era executive order regarding foreign police operations in the United States. 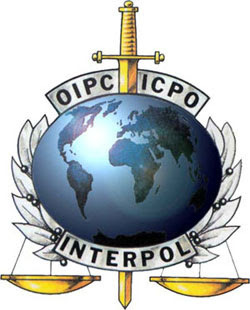 In 1983, President Ronald Reagan issued an Executive Order which gave permission to the International Criminal Police Organization (INTERPOL) to operate within the boundaries of the United States. Reagan’s EO put INTERPOL under the same basic guidelines as the CIA, FBI, ATF and other Federal law enforcement agencies. Two weeks ago, without any announcement, debate, discussion or inquiry from journalists charged with “speaking truth to power” President Obama issued an amendment to this EO. The amendment removed part of Reagan’s order that kept INTERPOL from having full diplomatic immunity while operating within the United States. In other words: Under Reagan and right up until two weeks ago, INTERPOL was authorized to operate within the USA but they did not have full diplomatic immunity and had to adhere to certain laws set forth for investigative agencies. Laws that prohibit authorities from violating our constitutionally protected rights. I ask the readers of the Survival Think Tank why this has not gone viral? Where is the mainstream news on this? Upon cursory research one will come to the conclusion that this is an overt violation of the rights and protections given by our U.S. Constitution. What are you going to do if INTERPOL kicks your door down without a warrant? Treat them like the criminals they are.